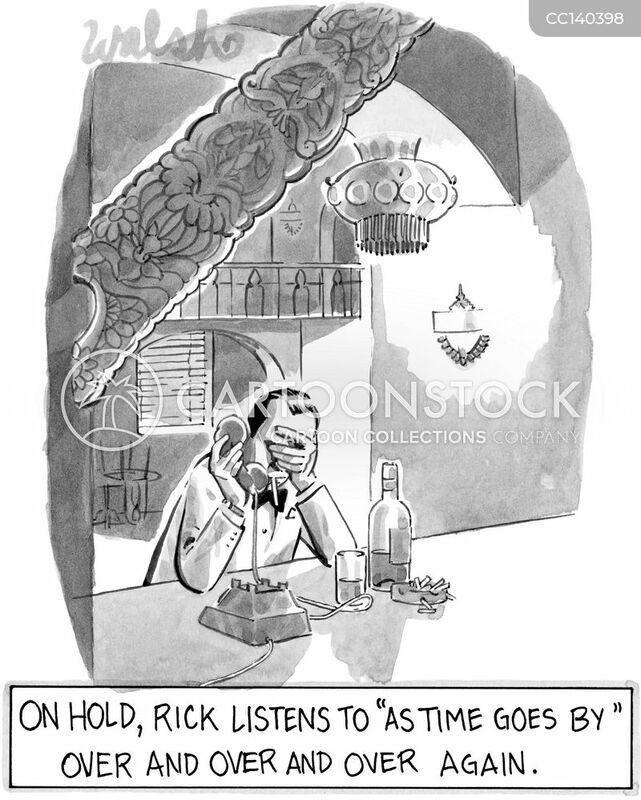 "Oh good. 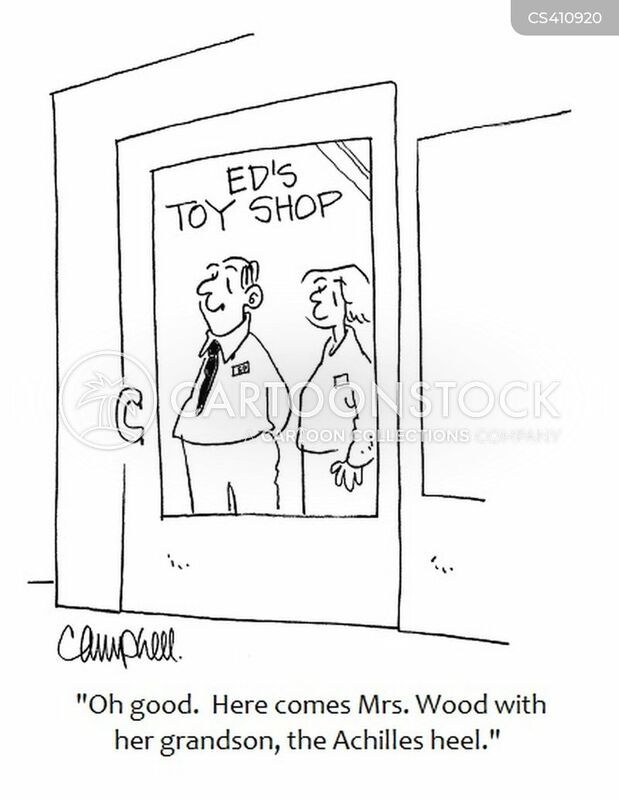 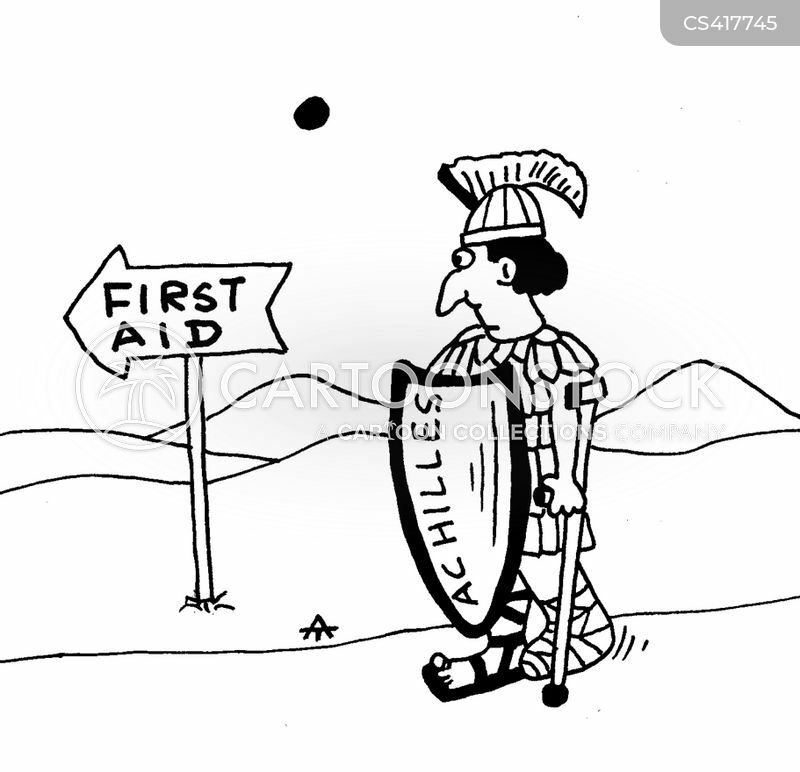 Here comes Mrs. Wood with her grandson, the Achilles heel." 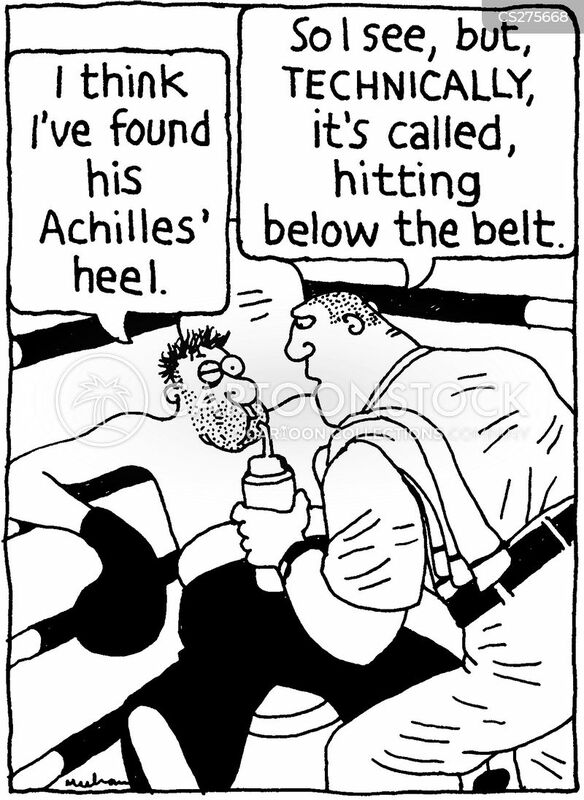 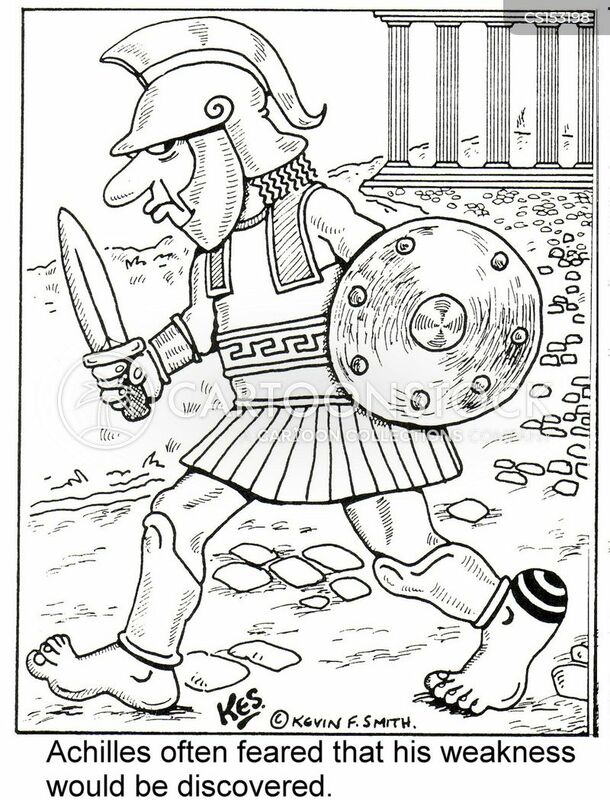 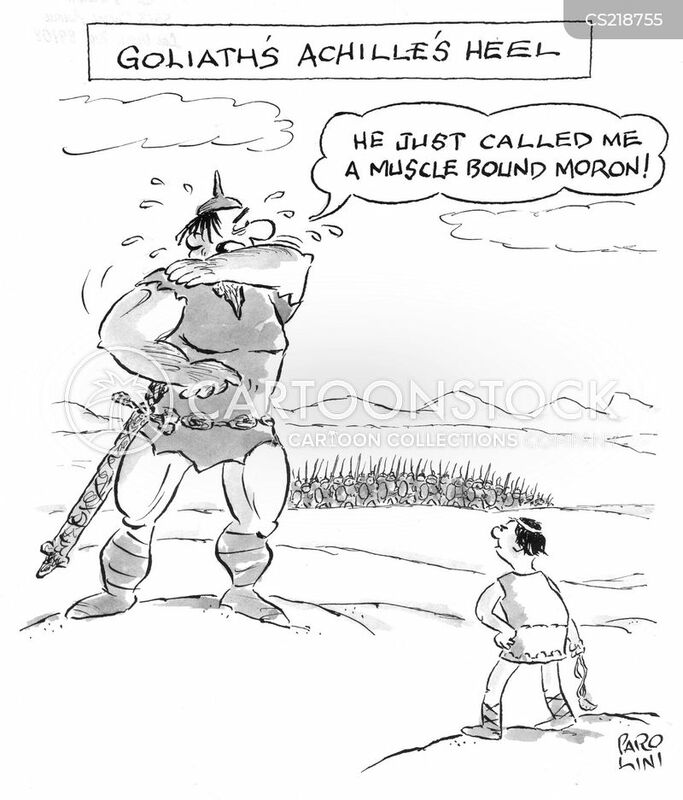 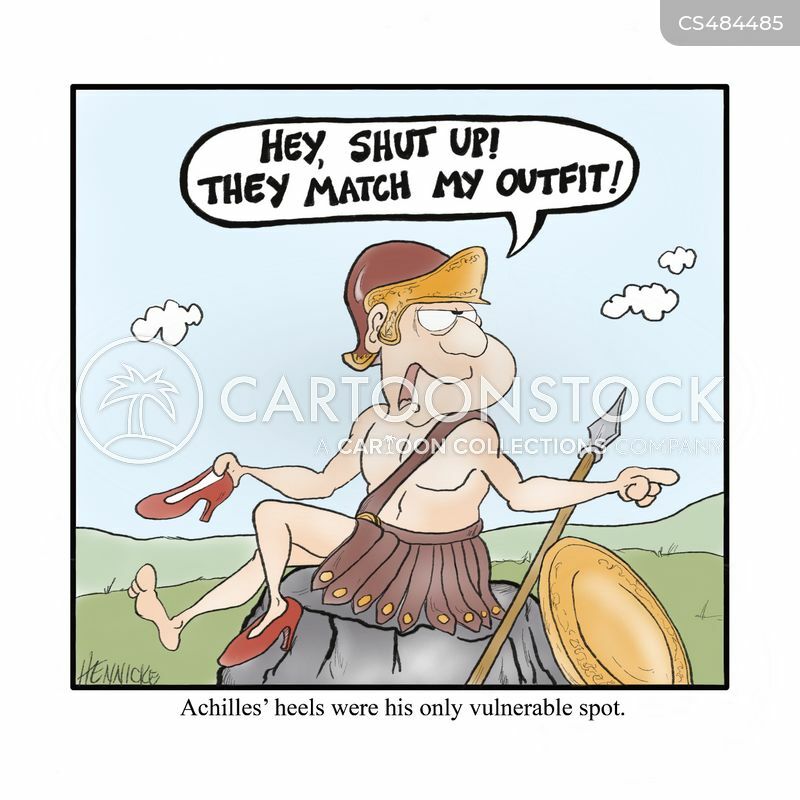 Achilles often feared that his weakness would be discovered. 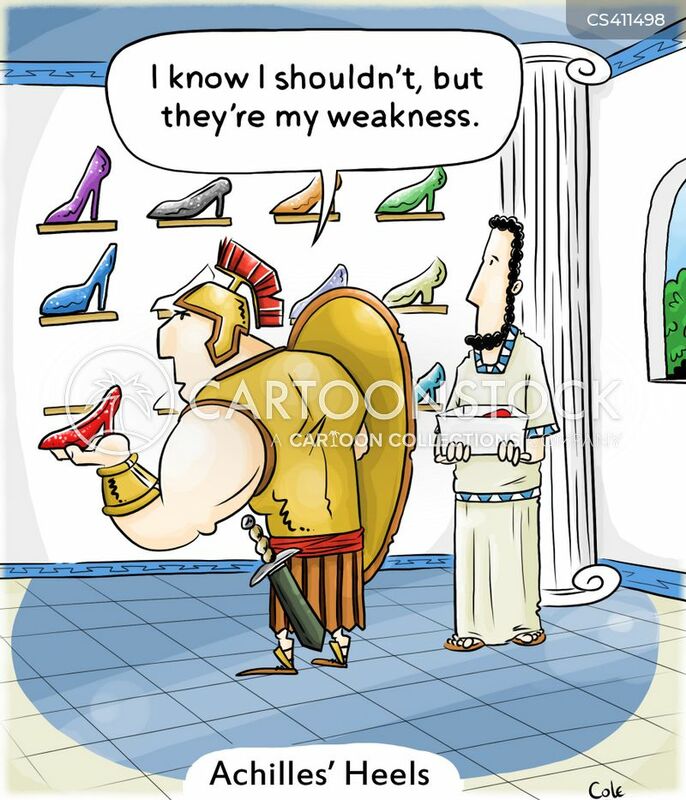 "I know I shouldn't, but they're my weakness." 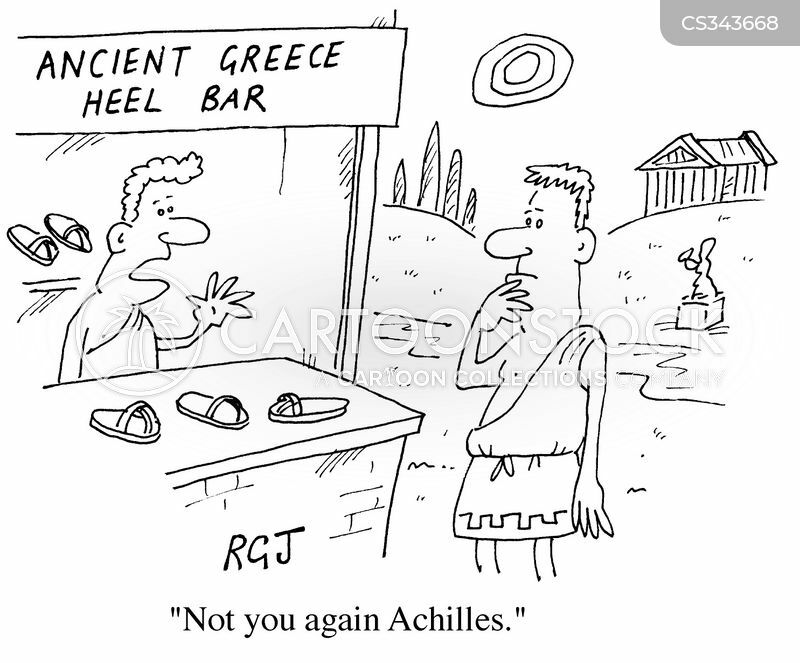 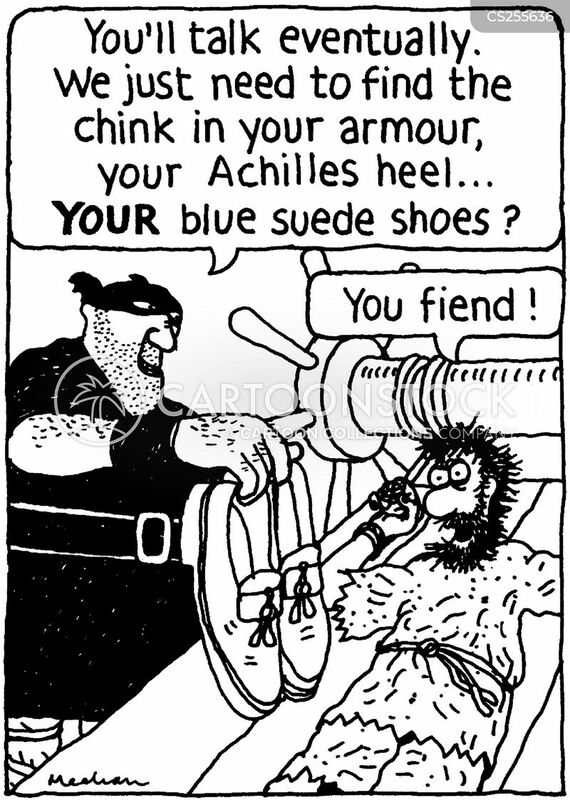 "Achilles, first it's the heel, then fallen arches, and now gout..."
"You cannot resist my universal appeal!" 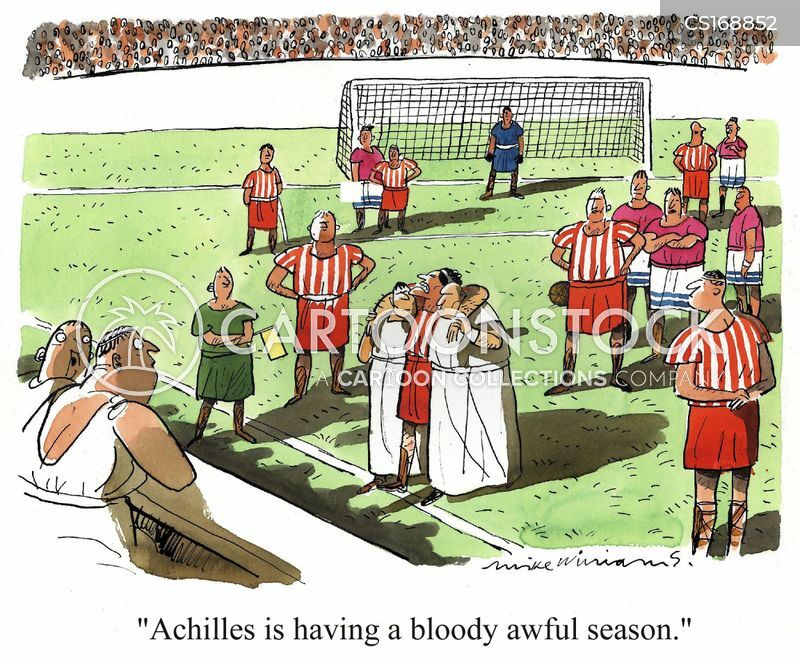 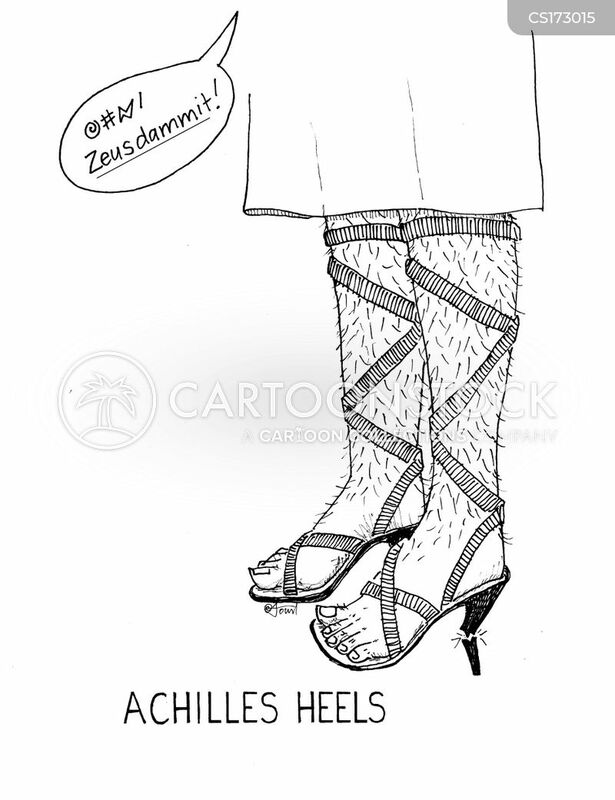 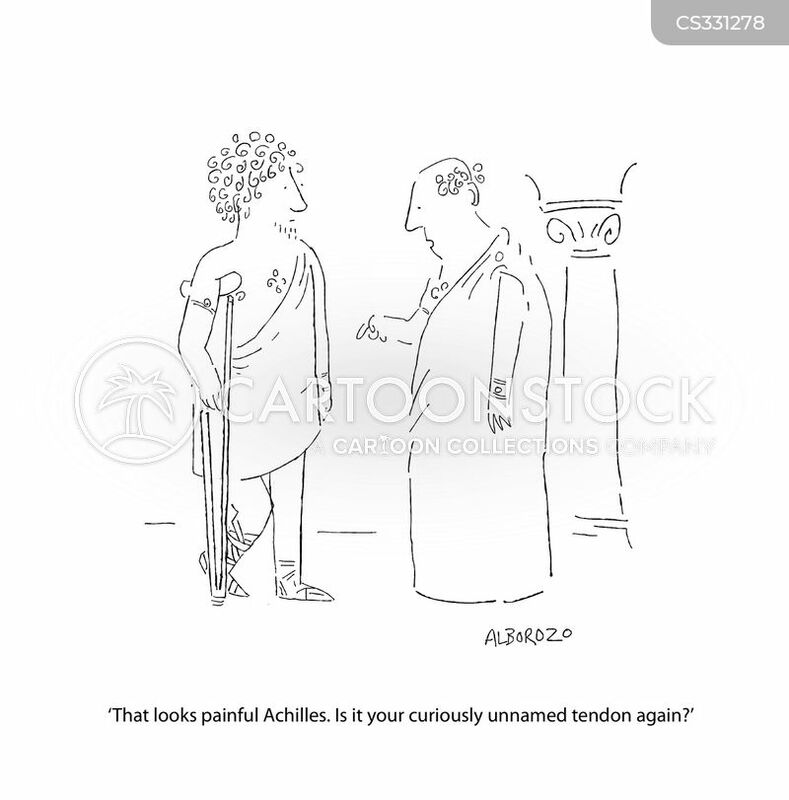 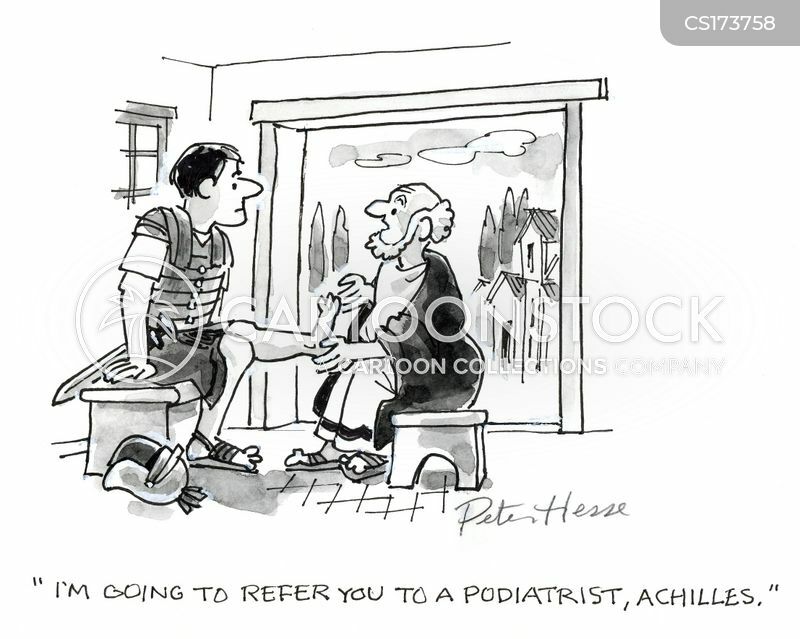 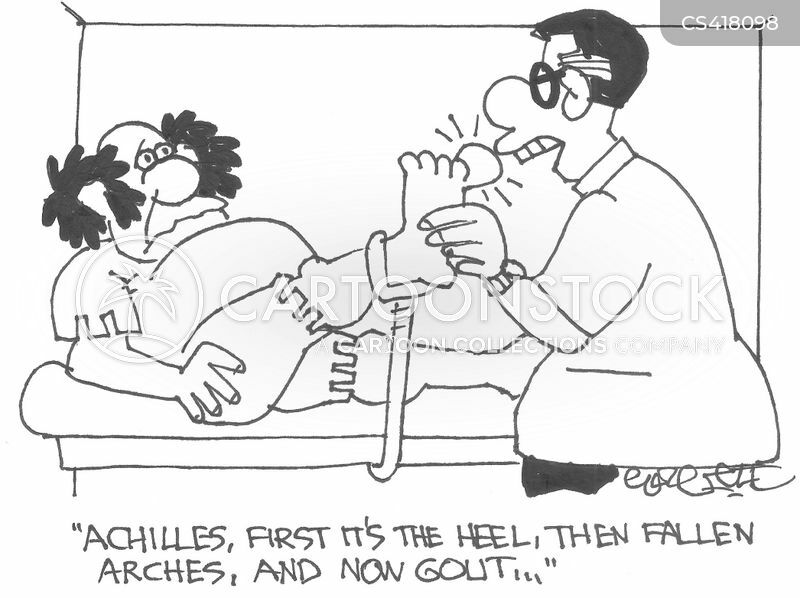 "That looks painful Achilles.Is it your curiously unnamed tendon again?" 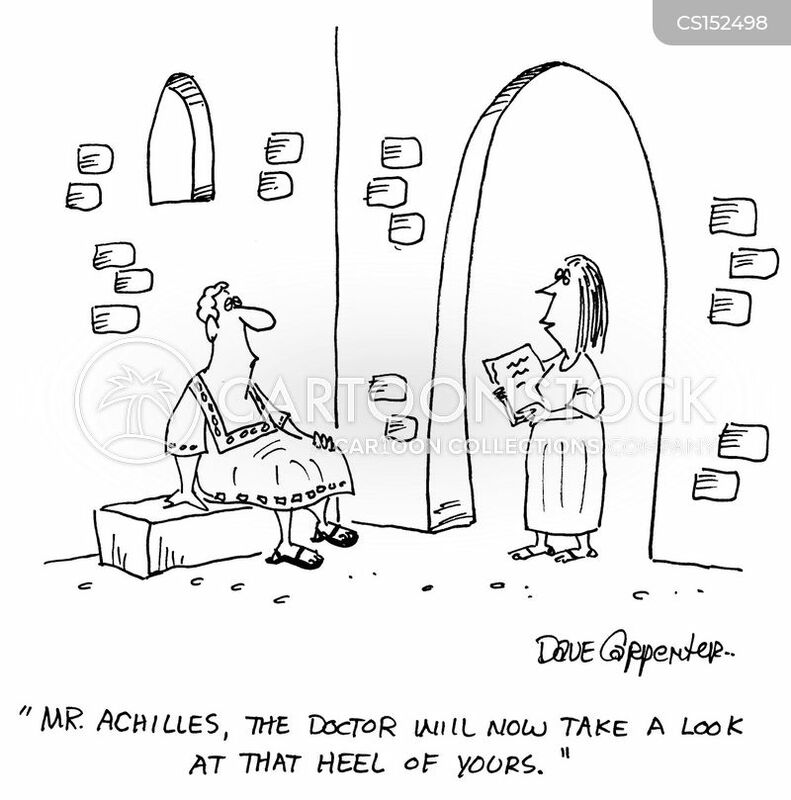 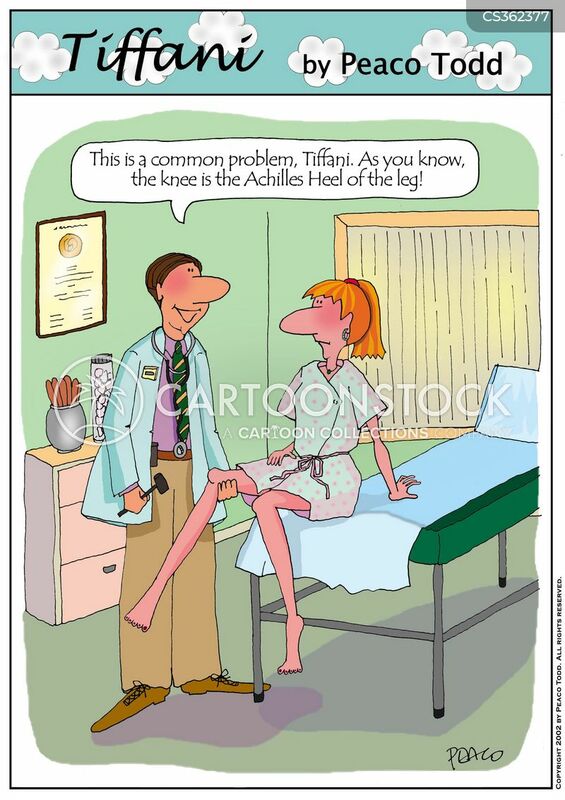 "As you know the knee is the Achilles Heel of the leg!" 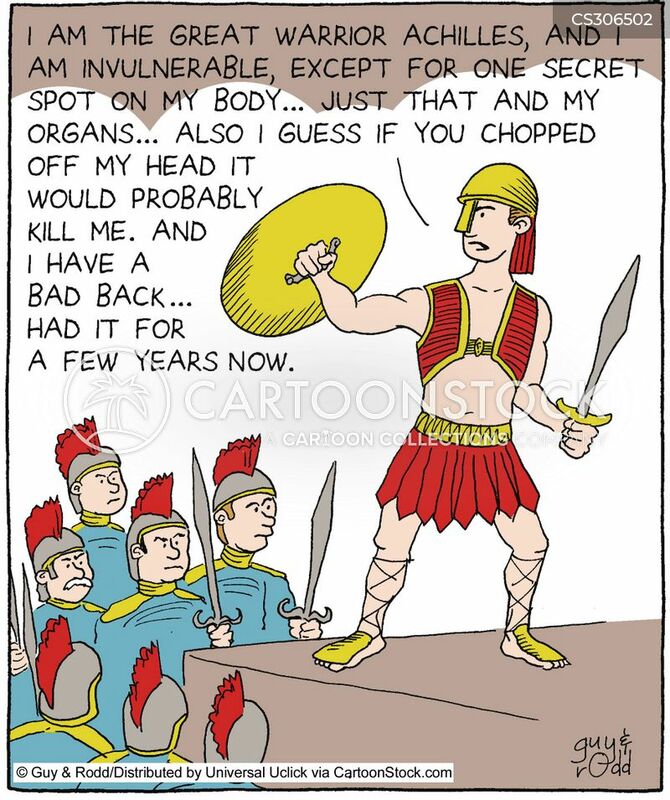 "Can you keep a secret? 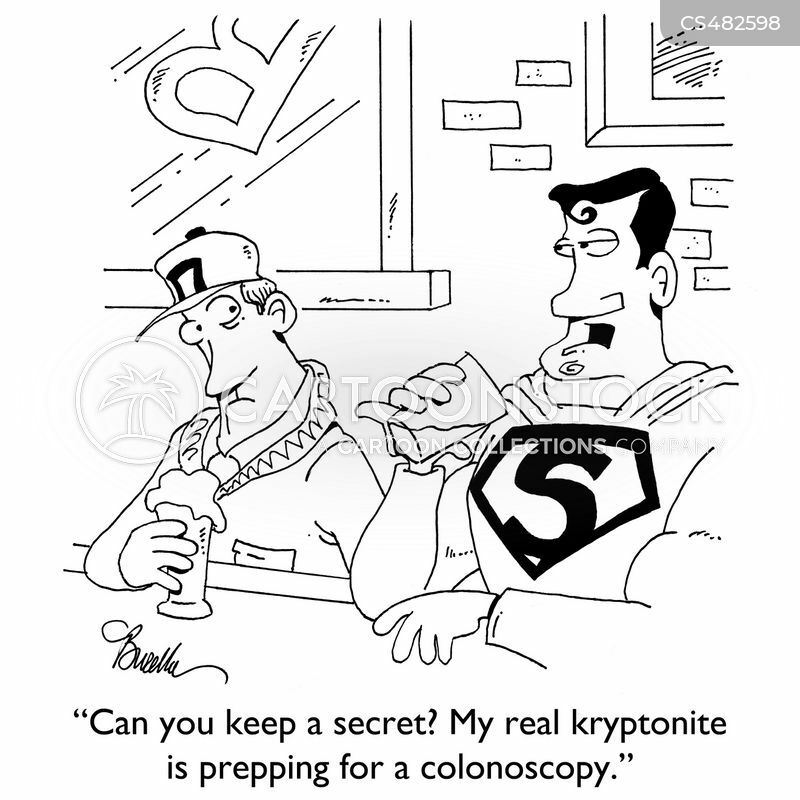 My real kryptonite is preparing for a colonoscopy." 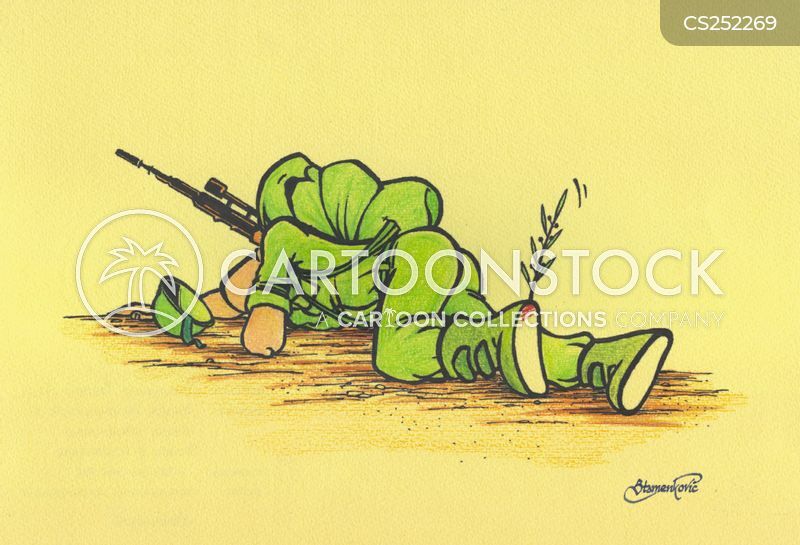 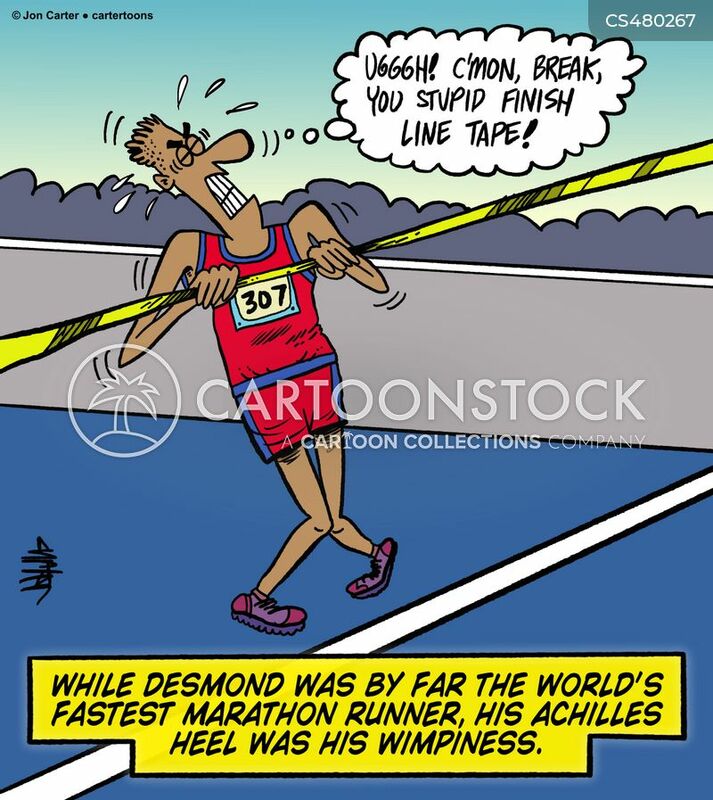 While Desmond was by far the world's fastest marathon runner, his Achilles heel was his wimpiness. 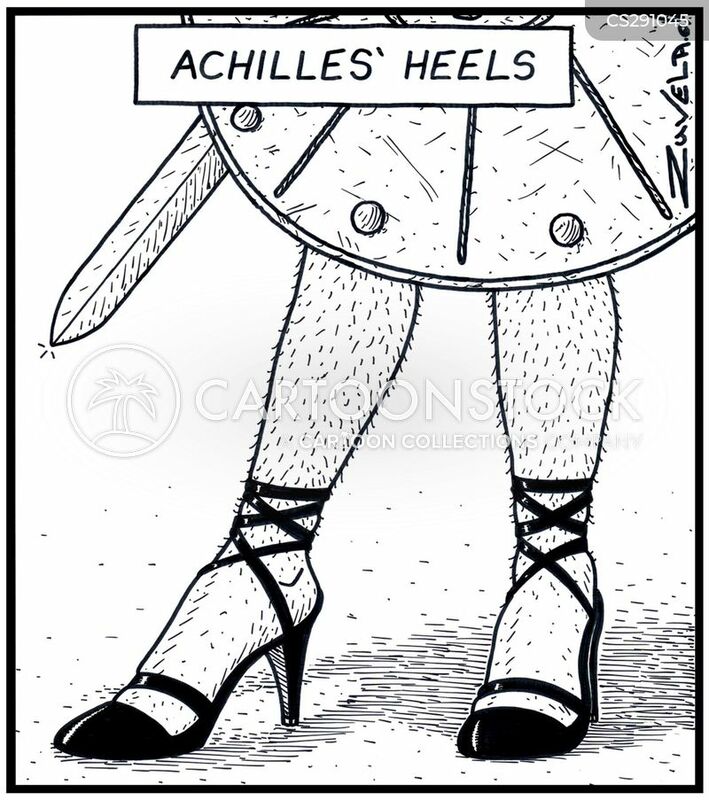 Achilles heels were his only vulnerable spot.